One of my favorite things in music is to hear a talented artist that finally puts the pieces together and begins to live up to their potential. On her forthcoming album “Strange Mercy”, which is currently streaming on NPR, Annie Clark (aka St. Vincent) does just that, and in the process asserts herself as one of the top artists in music today. Clark’s 2009 album, “Actor”, was one of my favorites of the last few years, and it established Clark as a unique voice and talent. Yet, it was abundantly clear that the artist behind it was capable of doing a lot better. For one thing, despite proving on stage that she is a tremendous guitar player, “Actor” was curiously devoid of many great guitar songs, with Clark instead focusing on disney-type strings that were only occasionally punctuated by noisy guitar blasts. The songs were well crafted and enjoyable, but also frustratingly coy and conventional for someone that could be capable of rocking souls. I am happy to report, then, that “Strange Mercy” fulfills what I wanted it to be, and I think it’s one of the best albums of the year. In every way, I think it’s a quantum leap over “Actor” (which, again, I liked a lot). Clark’s voice continues to develop, as she’s able to convey more emotion and sound less detached from her dense arrangements. The lyrics are better too — still sinister like they were on “Actor”, but decidedly more personal. Most of all though, “Strange Mercy” is weirder than “Actor”, and it’s much better off for it. Clark continues to use strings, but rather than be the focus, they’re more of a complement to her guitar playing, which finally begins to shine on this album. There’s funk undercurrents, like the synth solo at the end of “Surgeon”, which is one of the album’s surreal highlights. All of the bizarre touches on “Actor” are ramped up here, and while it may drive some listeners that appreciated her poppy side (like on her first album “Marry Me”) away, I think it makes her music far more compelling. Not that “Strange Mercy” doesn’t have its pop moments. Lead single “Cruel” is one of the best songs of the year so far, and it showcases Clark’s unique ability to turn all of the sounds and influences into an accessible rock song. While there are layers of strings and woodwinds, Clark’s guitar shines through with the repeated twangy riff and a couple solos in the middle and end. It’s also one of the best music videos I’ve seen in a long time, as Clark gets literally buried by all of her domestic duties after getting kidnapped by her family. On “Cheerleader”, maybe the most personal song Clark has ever written, she sings “I don’t want to be a cheerleader no more.” That chorus, which explodes after the more delicate verses, is one of the best moments on the album, and in a truly hacky piece of music criticism, I decided that this was more than just a song about trying to stop being a pushover: It was Clark rejecting the idea of being an indie pop princess. Many had pegged “Strange Mercy” as a commercial breakthrough for her — and it still very well could be — but I think this music is far too weird, psychedelic, and sinister to be showing up the next iPod commercial. My other favorite song is probably “Northern Lights”, which is the guitar song I’ve been waiting for from St. Vincent. 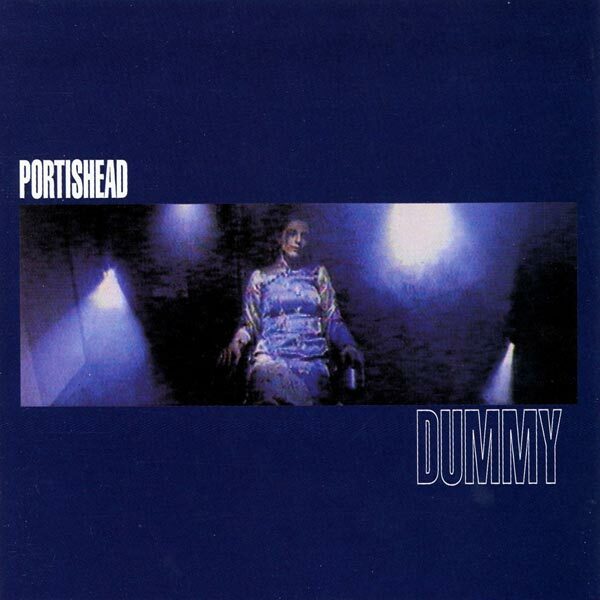 It’s pretty much pure noisy rock more in the vein of the Pixies or Breeders, with some roaring guitar solos and a constant build up to the end. I think Clark could still use to sing more forcefully at times, and this one of the moments on the album where she approaches that idea more, particularly towards the end when she begins to sound more hysterical. 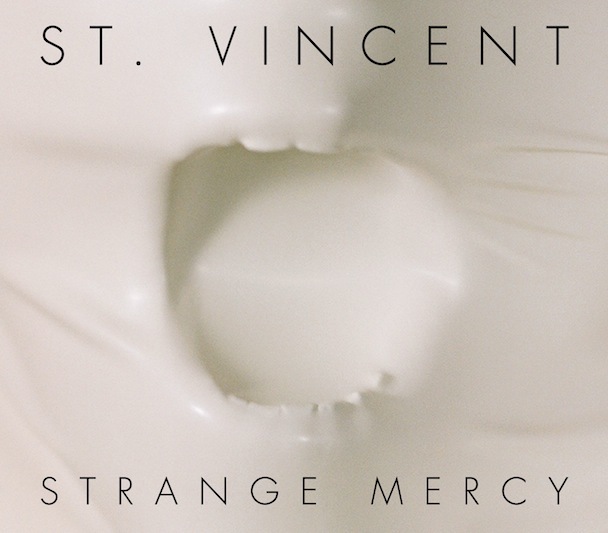 As good as “Strange Mercy” is, I think there’s still room for improvement for St. Vincent. But this album proves that she’s someone who is going to follow her own muse and evolve musically, which is the most important thing to me. Her ability to put that ambition into well crafted rock songs is a large part of what makes “Strange Mercy” one of the best, most exciting records of 2011 in my book.